People who drink three to five cups of coffee a day may have a lower risk of clogged arteries that can cause serious heart problems, a study said Tuesday. The South Korean research is the latest on the health effects of the popular brew, previously associated with a reduced risk of developing multiple sclerosis, Parkinson’s and Alzheimers disease. For the latest study, the team analysed data from 25,100 South Korean men and women, average age 41, who had undergone regular health screening. None of the study group had any cardiovascular problems, but one in seven had detectable levels of coronary artery calcium (CAC) — an early sign of coronary heart disease, or atherosclerosis. Atherosclerosis occurs when a waxy compound called plaque lines the artery walls, limiting blood flow and potentially triggering dangerous blood clots. 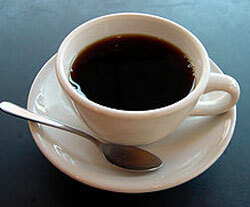 The level of CAC was highest among those who had less than one cup or more than five cups daily, the researchers found. It was lowest among those who drank between three to five cups. Cup size was not specified in the report. The researchers said the result was the same for all population sub-groups, regardless of age, gender, smoking status, body fat, alcohol consumption or blood pressure levels. “Moderate coffee consumption was associated with a lower prevalence of subclinical atherosclerosis,” said the study published in the journal Heart. Further work is needed to explain why coffee appears to be protective, and whether the findings would hold true for other population groups. The researchers cautioned that “our results were based on a sample of relatively healthy, young middle-aged, educated Koreans, and might not be generalisable to other populations.” Previous research has thrown up a mixed picture about coffee and its impact on health. A 2014 analysis of 36 studies found that moderate coffee intake — also defined as three to five cups a day — was linked to a decreased risk of heart disease. Other research had said it lowered the risk of Type 2 diabetes. But coffee consumption has also been linked to higher cholesterol and blood pressure, both of which are bad news for cardiac health.